The average cost of memory care in Howard County is $4,245 per month. This is lower than the national median of $4,650. To help you with your search, browse the 2 reviews below for memory care facilities in Howard County. On average, consumers rate memory care in Howard County 4.5 out of 5 stars. Howard County is located in the north-central region of Indiana and is home to about 82,000 people, almost 20 percent of whom are aged 65 and over. The rate of Alzheimer's and dementia in this county is roughly on par with the national average: 11.7 percent of seniors who receive Medicare benefits live with this diagnosis. In Howard County, as in all of Indiana, the official licensure term for memory care facilities is dementia special care units. Memory care may be provided in its own dedicated building, or DSCUs may be located within senior living communities that offer other levels of care. Howard County has two memory care facilities located in the city of Kokomo. 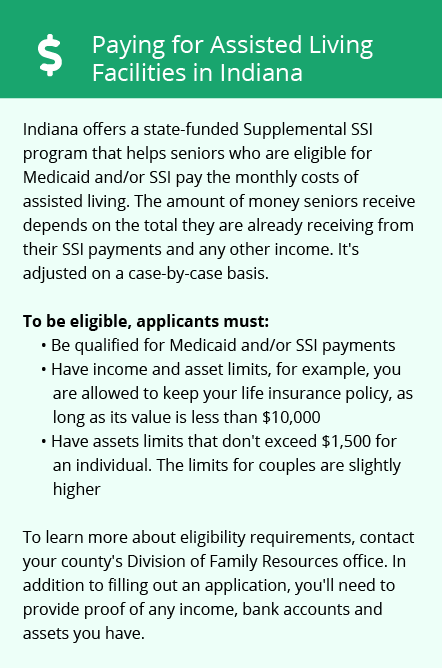 While Indiana seniors pay state income taxes on retirement income from public and private pensions and withdrawals from retirement savings accounts, Social Security benefits are not subject to state income tax. This may allow for more money toward memory care expenses in Howard County. Howard County’s air quality is decent, according to data gathered by the American Lung Association. The county was given a B for short-term particle pollution, ranking 83 out of 201 metropolitan areas for this type of pollution. This may benefit seniors with respiratory illnesses or cardiovascular disease. Howard County is a very affordable place to live, which may make the region a financially viable option for seniors and families with tight memory care budgets. The overall cost of living in this county is over 20 percent lower than the national average, and healthcare expenses are about 14 percent less here than in the country as a whole. Over the course of a year, temperatures in Howard County range between 19 degrees and 84 degrees, which is on par with state and national averages. The region gets slightly more snow than the average U.S. city, receiving 32 inches annually versus the national average of 26 inches, which may be a consideration for families with winter mobility issues. Memory Care costs in Howard County start around $4,245 per month on average, while the nationwide average cost of memory care is $4,778 per month. To see a list of free memory care resources in Howard County, please visit our Assisted Living in Indiana page. 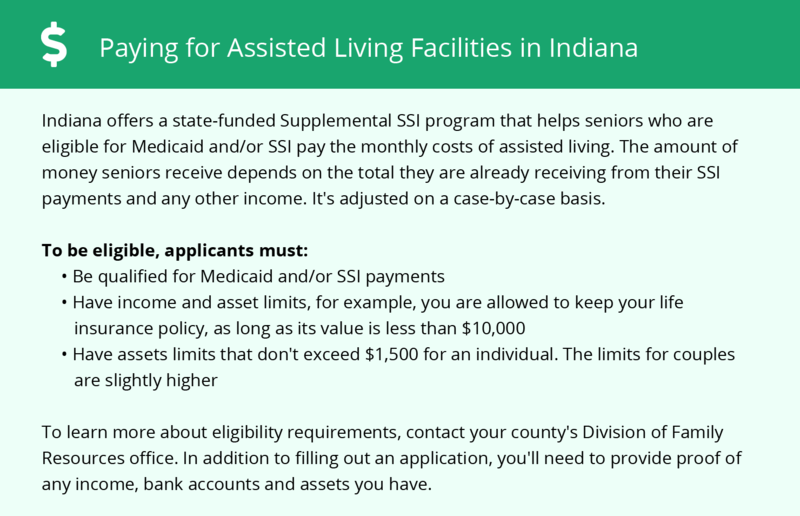 Howard County-area assisted living communities must adhere to the comprehensive set of state laws and regulations that all assisted living communities in Indiana are required to follow. Visit our Memory Care in Indiana page for more information about these laws.